Wang Shi, Chairman of Vanke, the largest property developer in China, talked about his personal experience with global warming as a mountaineer. He also discussed the significant impact of construction activities on the environment and the need for new ways of doing things in order for a more sustainable future. Mr. Wang is widely regarded as the Godfather of Chinese real estate. A fan of Sir Edmund Hillary, Wang has also completed the Adventure Grand Slam known as the 7+2, reaching the seven highest peaks across seven continents, and the 2 poles, becoming the oldest person in the world to do so. Mr. Wang believes that there are good prospects for more partnerships between Chinese and New Zealand firms. 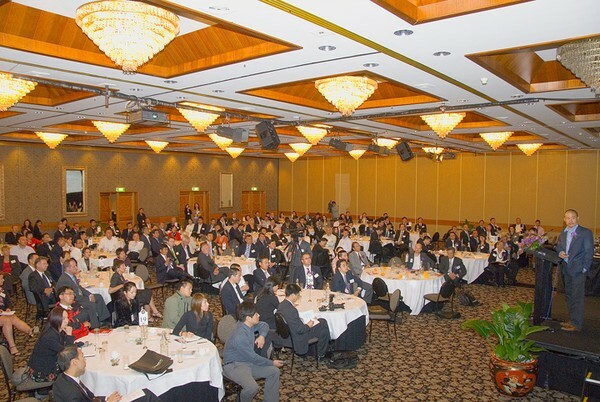 A number of Chinese businesspeople present also echoed his sentiments, expressing interest in a number of products and services New Zealand has to offer. Before departing, Mr. Wang said: “I would like to return to New Zealand in December to climb Mt Cook.” Local businesspeople would be enthusiastically awaiting his arrival.